One of Disney’s most beloved animated films is the fifth one the studio made: Bambi. The 1942 film was inspired by the book Bambi, A Life in the Woods, written by Felix Salten. 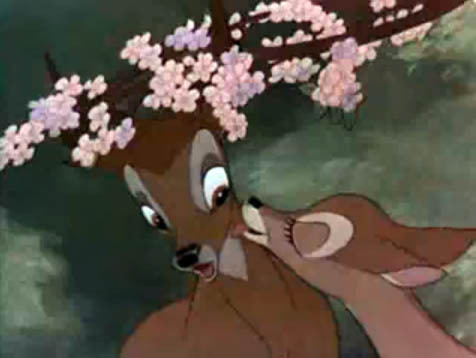 Bambi is famous for leaving viewers in tears, especially during the scene when the fawn’s mother is shot and killed by hunters, leaving him alone. The most interesting part of the process of making an animated film, especially in a time when there were no computers and everything had to be done by hand, is the effort and creativity of the people responsible for the project. For Bambi, Disney wanted a more realistic approach, moving away from the simple style used for the animal characters in Snow White. The animals in Bambi had to be more expressive. Another key component for good animation is the background. Many painters worked on these fantastic animation films in which we can admire the dream worlds created–where, for instance, Snow White is singing in front of a beautiful castle or Bambi is jumping in a forest surrounded by white flowers. The man responsible for the background in the film Bambi was Tyrus Wong. Wong was appointed the lead artist of Disney’s popular animation Bambi. 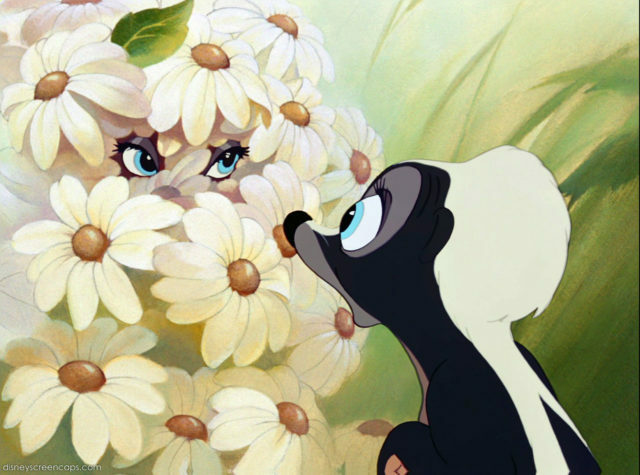 One of the best-known background artists who worked for Disney studios was Maurice “Jake” Day. When Disney determined the theme for the background of Bambi, which was to be the eastern American woodlands, Day spent a few weeks in different forests in Maine and Vermont and drew sketches of deer and the surrounding forest area. Wong, whose technique can be seen in the background for all of the film, was revolutionary in making the characters stand out. At the same time, Wong was working on sketches, but he couldn’t decide on his own what the perfect choice for the background should be. He showed some of his forest sketches to Day and from that moment on, he was the appointed art director for Bambi. His work was revolutionary because of the technique he used while creating the background, which had more details in the center of the screen and less on the edges; this was important for drawing the viewer’s attention to the characters. The backgrounds that he made for Bambi were also inspired by the classical Chinese paintings that came out of the Song dynasty. Because of his astonishing work in Bambi, Wong was honored with one of the most important titles in 2001, the “Disney Legend” title. Wong’s painting skills were noticed by his teachers when he was in junior high. Later, Wong dropped junior high and went to the Otis Art Institute. After he had graduated in the 1930s, Wong started to work in Hollywood. His career quickly escalated, and he was one of the most inspirational artists at Disney. 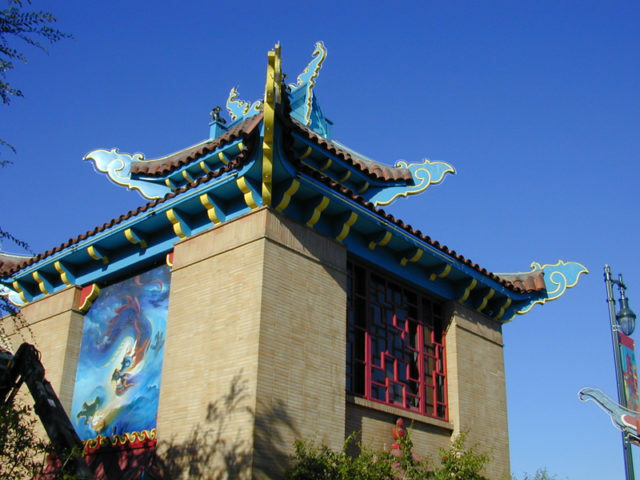 Later, he worked for Warner Bros. as a production illustrator, making concepts for life-action classics such as The Wild Bunch and Around the World in 80 Days, and after 26 years, Wong worked at Hallmark making greeting cards. 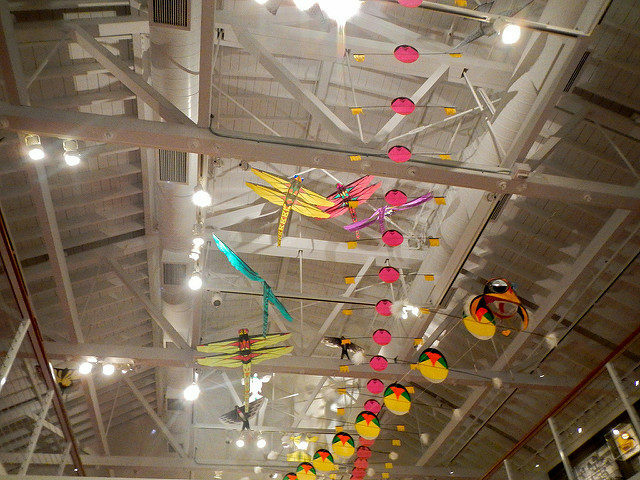 After retiring in 1968, Wong started to make the most beautiful kites. 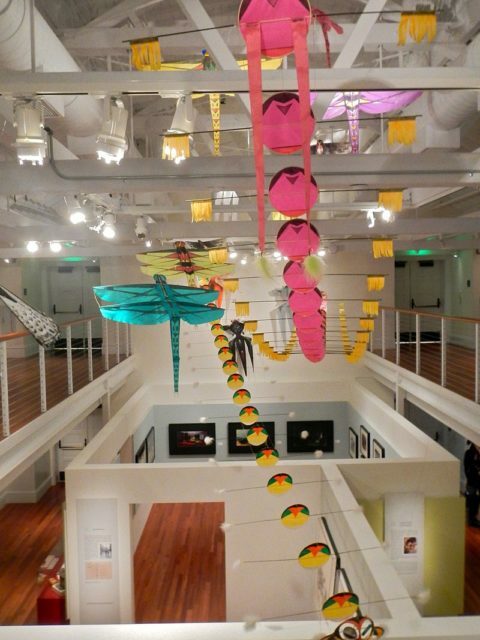 Different creatures inspired these colorful kites; there were goldfish, dragons, various birds, centipedes, and dragonflies. The artist married Ruth Ng Kim and together they had three daughters and two grandsons. Tyrus died on December 30, 2016, when he was 106 years old. 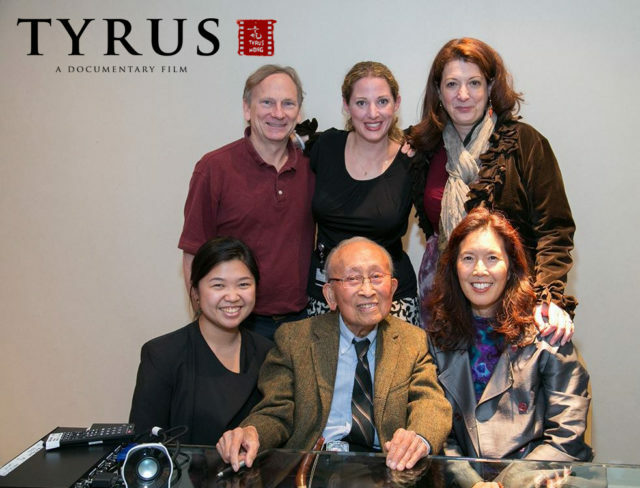 As a highly respected Chinese-American artists, his art, legacy and life were captured in a documentary from 2015, called TYRUS. Because of his originality and creativity, his work inspired and is still inspiring many new artists and animators around the world today.